I’ve been thinking about my pricing lately. I raised my prices a while back because I felt like my work is worth more than it used to be. I also realized that my prices are so much lower than other local newborn photographers that I feel are at my same skill level. After raising my prices, they are still much lower. So I’m thinking again about pricing and what it means for my business and my clients. I’ve had people not book me because I was “too pricey”. I understand. 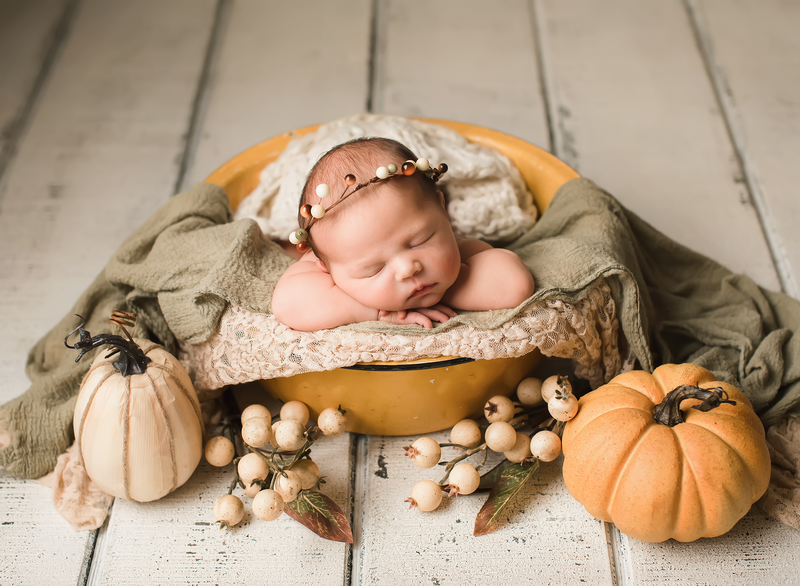 Custom newborn photography is an investment. But it’s something that I feel very passionate about. I love to not just create photos, but art. Anyone can go to a chain portrait studio and get photos done for cheap. But to get the types of photos that I love to create, it comes with a price, because it’s pricey for me, not to mention the amount of time that it takes to edit a newborn session. I edit every tiny detail, every red spot, every wrinkle in the blanket, every blemish! It takes hours to edit just 20 images. Let me go through what it costs me to have a newborn photography business. Just typing all of this out made a light bulb go off in my head! The most important thing that I own is of course my camera and lens. My mom jokes that she could buy a car for the price of my camera. Pretty funny, but true. I use Photoshop to edit all of my photos. In the past, you could just buy Photoshop and it was yours. Now, you have to pay each month. For each newborn session that I do, I now purchase hats, tiebacks, pant sets, and blankets as well as a prop or two so that each client has unique photos. Each hat and tieback that I buy costs between $20-$30 because they are handmade to order from Etsy. If I want a pant set, it’s around $40-$50. Blankets can be as expensive as $50 each! The props that I buy are usually from local antique stores and they are never less than $50 a piece. I usually buy some fabric to use with them or some yarn to knit to create the styling that I love. I have made different floors for my studio to use which cost about $50 each and there are three right now. The posing beanbag that I use runs around $100 plus the cost of the filler which is around $80. These need to be refilled from time to time. I supply snacks for each newborn session which cost money. The site that I use for my galleries and printing is $240 a year which is a lot but makes ordering prints very easy for my clients. My laptop that I use to edit photos was quite expensive. I take on-line photography courses which are a pretty penny but so worth it to always be learning and growing as a photographer. I have liability insurance that I have to pay. Advertising is $150 a month! There are state and federal taxes. The list just goes on and on! So when someone tells me that I’m “too expensive”, I have to laugh to myself because really, I’m not making much! So when my prices are increased, it’s only because I’m actually trying to support my family and pay the bills. After all, this is not a hobby. This is my job. This is how I support our family. I have to make a certain amount each month in order to pay for groceries, the light bill, insurance,…I love clients who appreciate what I do and see the value in the photos that I create. The newborn phase is so short. I regret not having any newborn photos of our oldest daughter because honestly, I didn’t even know newborn photography, aside from a portrait studio at the mall, existed! It’s worth saving up for and nobody will ever regret having beautiful images of their babies that will last forever!